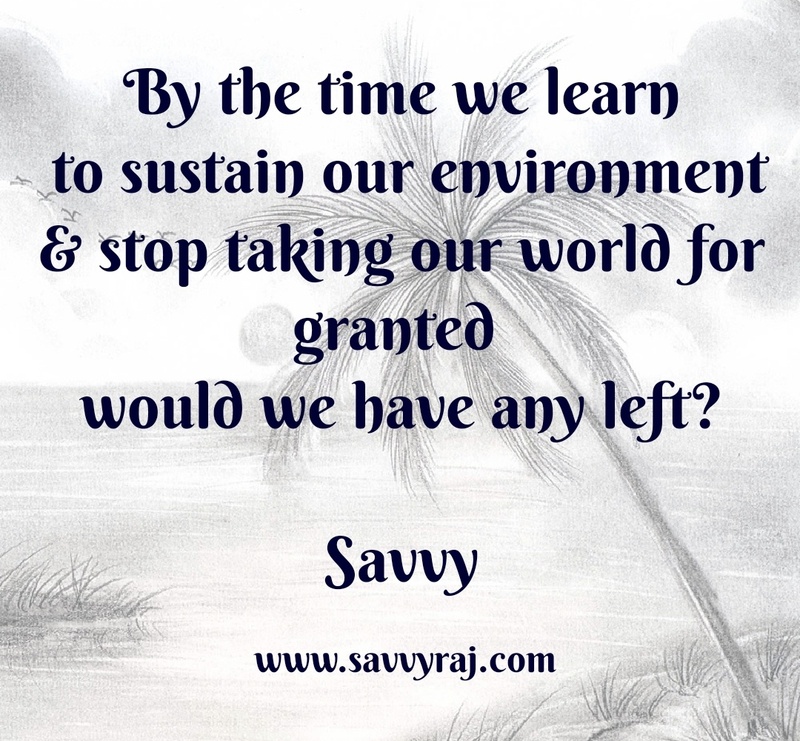 Aren’t we taking our world for granted? So take the world for granted no more! Categories: art, Artworks, hope, life, Life and Living, life education, Love, Metaphysical, motivational, Nature, Peace, Poetry, visualverses, wellness, Writing | Tags: # appreciation #nature, # Compassion # Empathy Motivational writings #goodwill, # creativity#artist # expression, # Holistic Education # Life &Living #Personal Development, # Way of life #Abundance #Blessing, #Appreciation # Gratitude #Contentment # Life skills #Social intelligence, #art #poetry #consciousness#Living, #Creative Writing #Poetry, #evolution, #interconnects#Mothers nature #poetry, #Soulful Living# Green Living, Caring, Heart Consciousness | Permalink. Lovely post and I agree with every line of your post.Really, it’s important that we don’t take these things for granted. Truly we are living without much thought for the world we will leave behind for our children whom we profess to love so dearly ….and the ramifications are clear to see with polar extremes and other natures fury affecting us all in one way or the other. There is so much accountability for us all towards sustainability . So thank you very very much Priti for your valuable feedback and support . Savvy has nailed it. You’re amazing!! Thanks !Ankit It’s really nice to know so!